Glaucoma occurs as a result of damage to the optic nerve which causes progressive loss of vision. The main function of the optic nerve is the transmission of images to the human brain. This condition is characterized by the gradual impairment of vision especially side vision which erodes the ability of infected person to see objects across the line of sight. Glaucoma creeps in undetected without any warning signs or symptoms until it’s later stages when damage to the eye is irreversible. Research also shows this condition maybe hereditary, making it necessary to caution families with a history of the condition. The most vulnerable groups to Glaucoma are infants, young adults and adults over the age of 40 years. It also manifests itself in elderly patients with diabetes and other chronic diseases. The causes of this condition have also been linked to the relationship between internal eye pressure and it buildup and effect on the optic nerve. Categorized as intraocular pressure, an increase often results in damage to the optic nerve. Intraocular pressure can increase when flow and circulation of liquid on the front of the eye is obstructed. Such blockage makes the fluid build up exerting more pressure within the eye. Glaucoma can also result from a severe eye infection, inflammatory conditions, blockage of blood vessels within the eye, contact with chemical substances of injury by a blunt object. Chronic Angle-closure Glaucoma- Here, obstructed drainage in the eye results from narrowing of the angle between the cornea and and the iris leading to sudden buildup in pressure. Its common in Asia. Open-angle Glaucoma- In this most common scenario, the eye’s mesh-like drainage structure looks normal on inspection but cannot maintain a sufficient fluid flow. Congenital Glaucoma- Infants can be born with this condition necessitating surgical intervention to correct distorted structures in the eye. Undergo a complete eye exam biannually to test your vision and assess risks to it. Thus eye test is important especially if there’s a history of glaucoma in your family. Tests for Glaucoma consume little time and resources. The optometrist will use drops to dilate a patient’s pupils then examine and test the eyes. It easier to spot a damaged optic nerve and doctors usually take photographs of the optic nerve for future reference. Eye pressure and visual fields tests are also conducted. Treatment for glaucoma includes the use of eye drops, microsurgery and laser surgery. 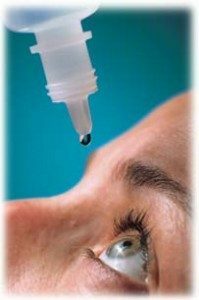 The eye drops control fluid formation while increasing circulation. However, it can result in stinging and irritated eyes, redness and blurred vision during treatment. Laser surgery aims at opening up the drainage structures, enabling free flow of fluid by making tiny holes in the iris and reducing fluid production. Microsurgery involved creating alternative drainage channels to ease pressure within the eye. This method is used as a last resort or in severe cases. If you believe you need a glaucoma assessment or need to book a routine Eye Exam to be screened for glaucoma call our Scarborough office today. What is a retinal detachment and what are potential complications?